Toolbox for Change: A Local Perspective on Indigenous Culture with art work commissioned by Coast Salish Artist Joel Good, is a travelling library that will circulate within the Nanaimo business community. The intent of Toolbox for Change is to be displayed in local business lobbies or break rooms for staff and clients alike to peruse at their leisure. The most significant crest for this project is the Beaver. The Beaver is industrious and it yields results, much like the members of the business community who are supporting this project. Two travelling libraries will circulate through Nanaimo’s businesses community starting May of 2016 and will be available to sign out through the Nanaimo Aboriginal Centre. This project was made possible through the generous financial support of Western Forest Products. Terri Mack, owner of Strong Nations bookstore – one of the largest indigenous bookstores in North America – has been an integral supporter for ideas and content selecting an assortment of books from general awareness to graphic novels. 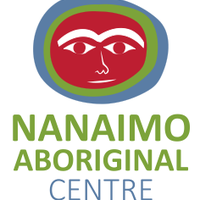 The project was initiated and developed by a team of students: Meaghan Douglas, Nic Pzrada, Will Scott, Tara Plett, Brenda Krastel and Kait Burgan all currently enrolled in Leadership Vancouver Island who chose Nanaimo Aboriginal Centre as Partner and Caretaker of “Toolbox for Change”. They give a big thanks to Nanaimo Chamber of Commerce for assisting in getting the message out. Find Leadership VI on Facebook!